All welcome to Froyle Wildlife ‘walks and talks‘ for 2019. Friday 22nd March 7.30pm, Village Hall, talk ‘Plight of the Bumblebee’ by conservationist Dr Nikki Gammans. How we can help our bees. Saturday 27th April 4.30pm*, join Mark Howard, hurdle maker for a walk through Coppice Woodland near Crondall. Appreciate the benefits to wildlife. Tuesday 30th April 7.30pm, talk ‘RSPB Farnham Heath, the story so far’ by Mike Coates. Discover the birds and nature of this restored heathland. 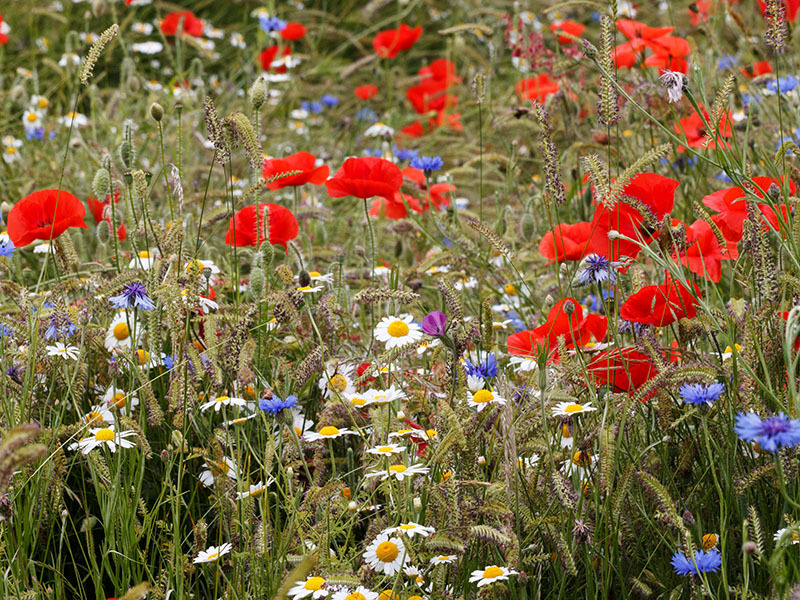 Saturday 18th May 10.30am*, short walk to a ‘Wildflower Meadow and Froyle Churchyard’. Identify local flora in wildlife friendly grassland. Wednesday 26th June 10am*, a walk at Noar Hill SSSI for orchids and wildflowers. Sunday 7th July a ‘drop-in’ day at the Wildlife Pond to see what’s flying and flowering, anytime 10am – 4pm near Gid Lane, Froyle. Sunday 11th August pond dipping for families at wildlife pond, two sessions 1.30pm and 2.30pm, equipment provided and booking essential. Wednesday 7th August 2pm*, a walk at Old Winchester Hill NNR for flowers, views and butterflies. Friday 18th October 7pm, AGM and a talk ‘Ancient and Heritage Trees’ by John Stokes. Important for biodiversity and as natural landmarks for centuries. *walk may be rearranged at short notice depending on weather. Check for any changes. 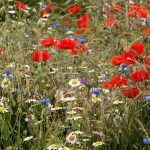 Last year we enlarged the wildflower area on Froyle recreation ground. In Spring 2019 we plan to sow cornfield annuals again on a 5x10m area of bare ground. We will need to remove any perennial weeds, rotovate the area and rake the soil before sowing. Volunteers assistance would be appreciated on Saturdays 2-4pm, 23rd Mar and 6th Apr. 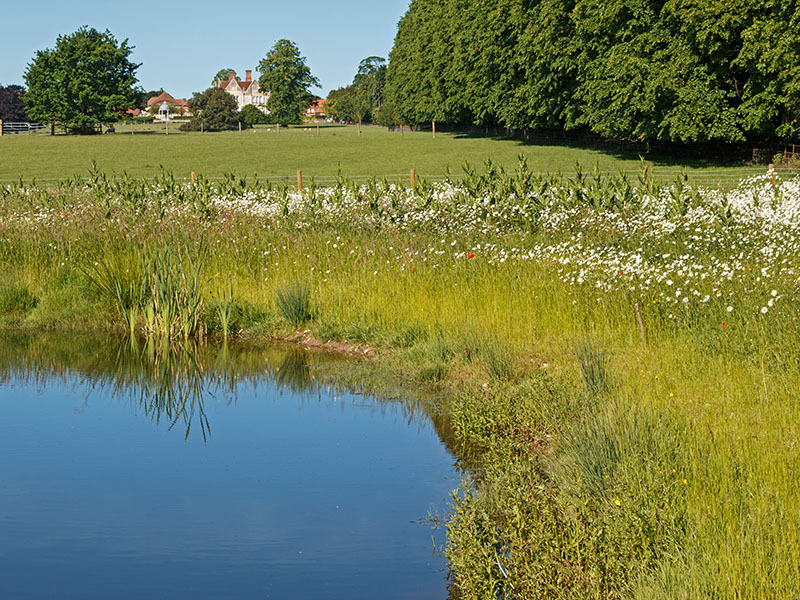 This year’s annual cut and rake-up of the perennial meadow area is planned for 27th July 2019. Previously this area has grown well (see photos) after sowing in 2015 with the help of volunteers. 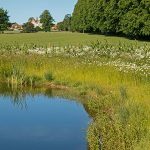 The wildlife pond and wildflower meadow near Gid Lane (see access plan and photos) has produced an increase in local biodiversity since construction in 2016 and demonstrates how we can help to give nature a home. The meadow area has established well but will still benefit from regular maintenance to avoid thistles, nettles and docks taking hold. Join us if you can help in 2019 on Saturdays 10am-12, 30th Mar, 20th Apr, 11th May, 8th June, 7th Sep, 5th Oct. Submit your entries for our photo competition of images taken in Froyle by 31st Oct 2019 – entries open to all. Alton Natural History Society organise regular talks and field trips in the Alton area. In 2017 we registered as a ‘Charitable Incorporated Organisation‘ with the Charities Commission. See previous years ‘walks and talks’ list for 2018, 2017 and 2016. For more information see Posts and Past events.